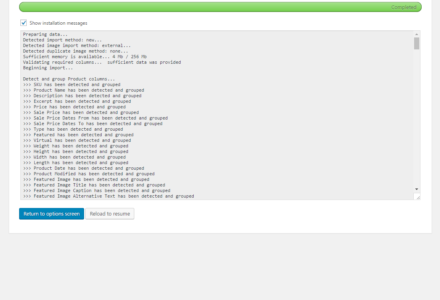 Send through a message to us from http://visser.com.au/contact/ and we’ll get your ebay file from you to test it, if you like. I’m just checking to make sure that although “Additional Description” isn’t listed as being imported, it will, in fact, be imported. The exporter exports it, so it seemed to make sense that likewise it would be imported. 🙂 Thanks! Variations are about halfway down the page. 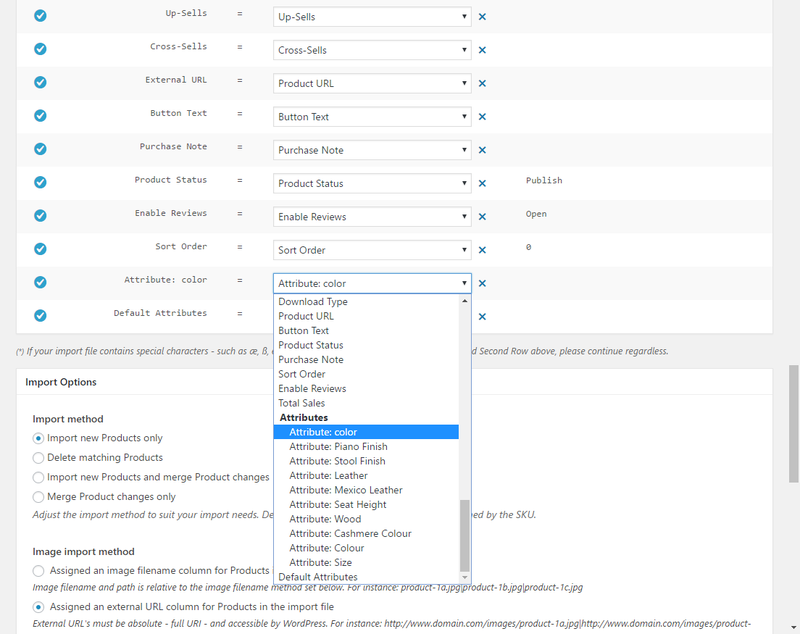 Since updating to 3.2.1 I am not able to add variations to existing products. I was able to do this with 3.2.0 just fine. 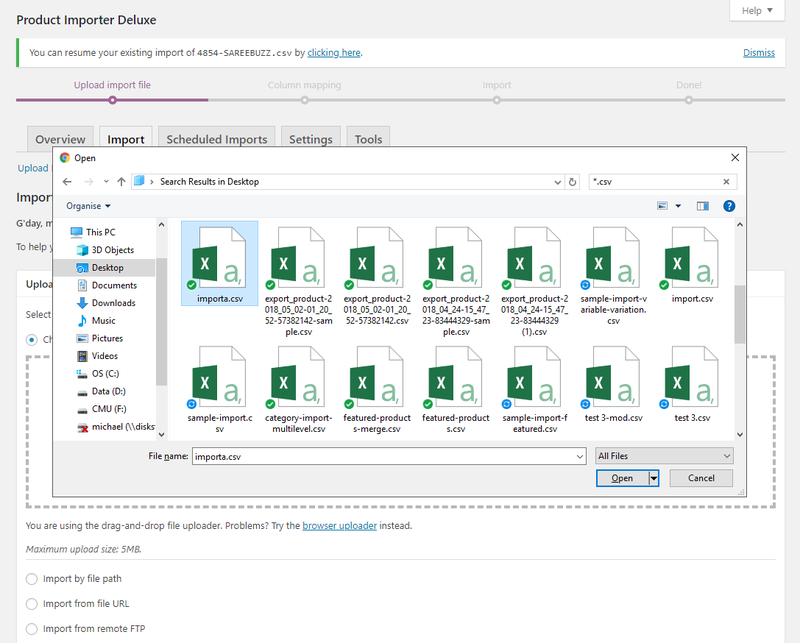 If you delete a product which has variations associated with it from WPEC then add the same product back again and try to add the same variations back to it, the importer fails. (Though it does not give any message that it failed) The original variations SKU still exists in the database and was never deleted. 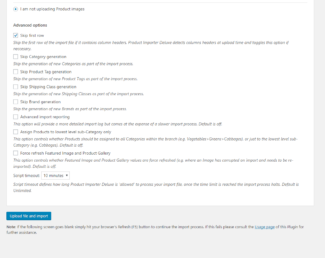 Product Importer Delux does not give a message that a duplicate SKU exists but just says the variation import was successful when it was not. 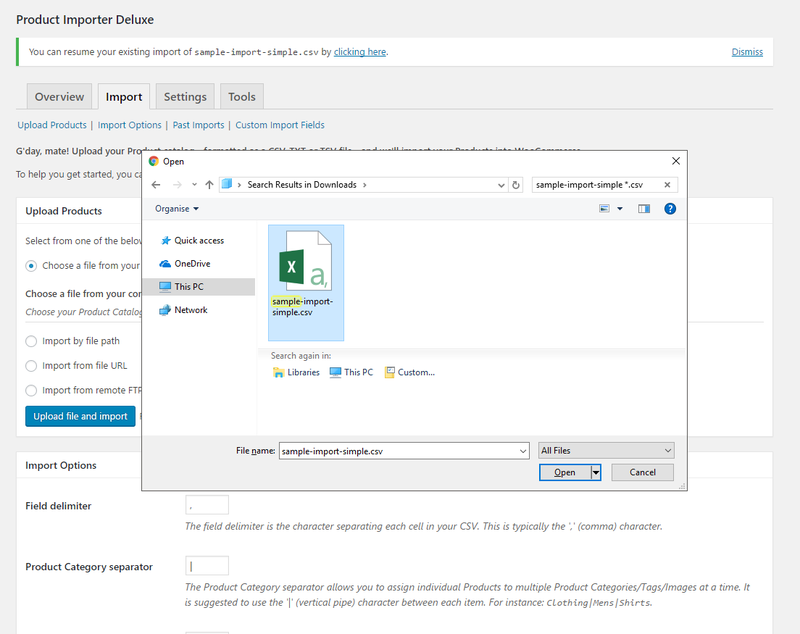 One must go into the SQL db of WP-Ecommerce and manually remove any SKU’s which may conflict with a new import as there is no other way to view or delete variation SKU’s through the control panel of wpecommerce. Can someone please give me some explicit directions on how to import variations. 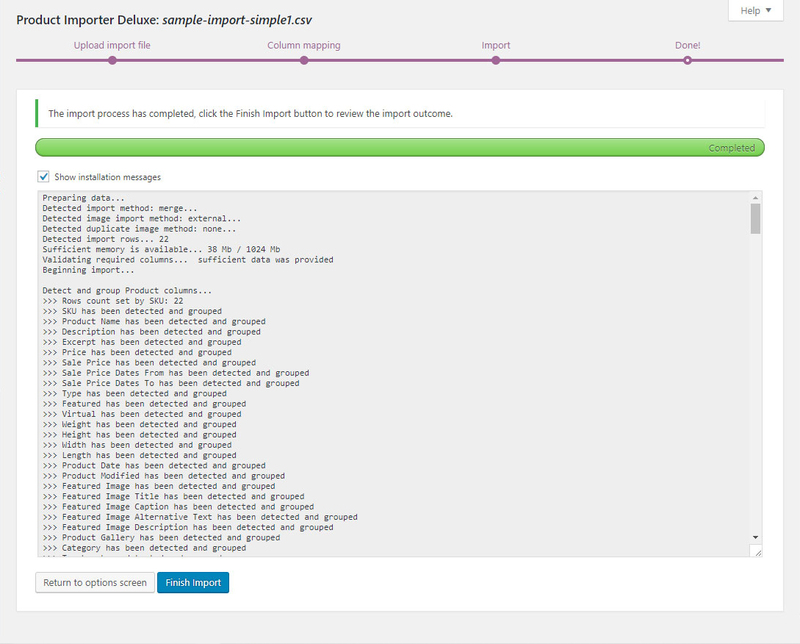 I looked at the sample file and see how to set it up, but which field do I map it to when importing. I created variations, but they don’t show up as fields to import into. 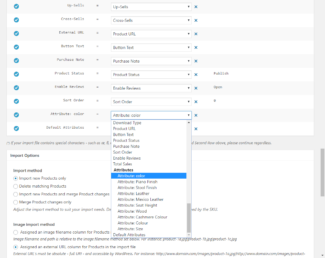 I tried to create custom fields with attributes, but the field is just displayed on my site and is not formatted as a dropdown to allow the customer to select a size or color. I would truly appreciate any assistance. I had my best success importing variations in these steps. 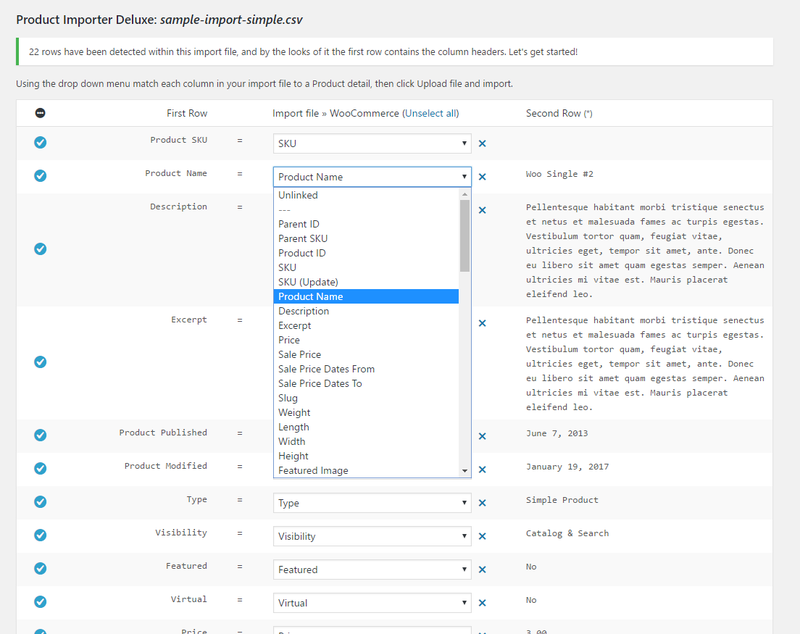 First do an import of the main product so it is in the database before importing variations. Second do a separate import of the variations of this product. 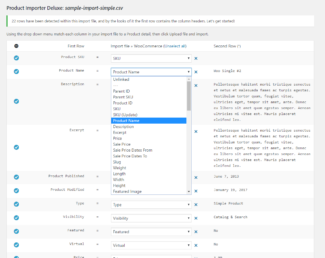 In this second import the sku of the variation needs to be different and the product name needs to have the name of the main product in it just like in the sample and instructions. Thank you for responding. 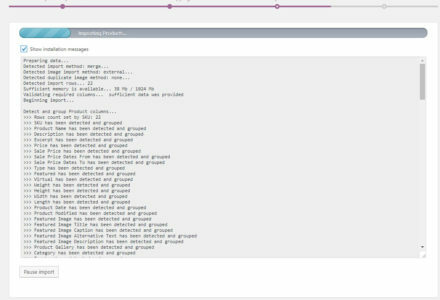 You stated that I should add the data just like in the sample and instructions. I cannot find any instructions for adding variations in the readme.txt. Where can I find instructions for adding variations? Thank you very much for the link Scott. I found it very helpful and it answered my questions pertaining to variations. I have one more question regarding images. I have about 7 images per product, but I have a specific image that I want to use for the thumbnail. How can I specify which image I want to use for the thumbnail? 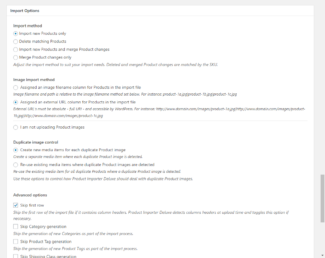 In the documentation, it said that for version 3.7, thumbnail images should be uploaded to the folder: /wp-content/uploads/wpsc/product_images/. 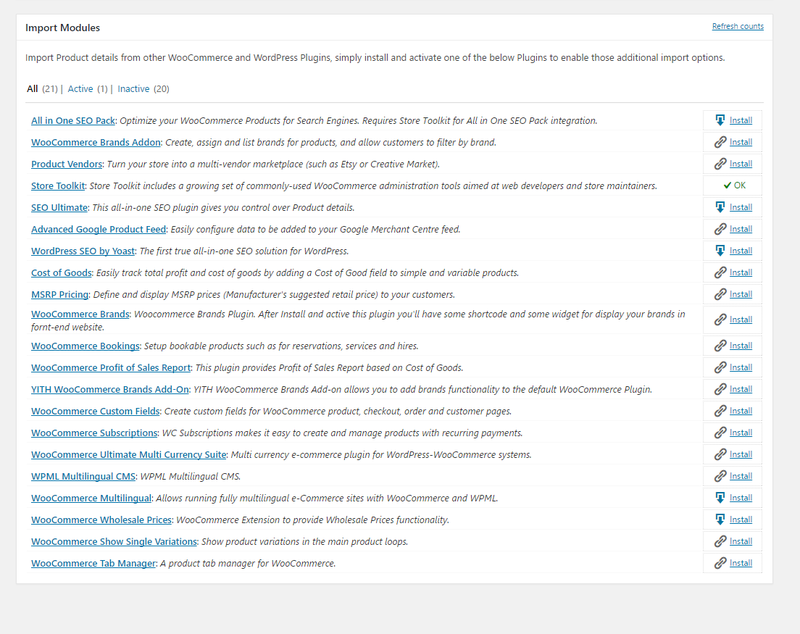 I’m using wp e-commerce version 3.8.9.4. 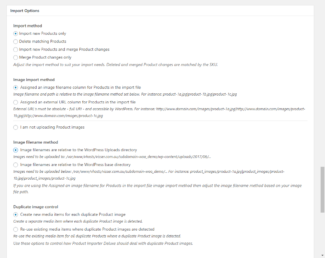 Do I upload the images to the same directory? The instructions say to upload images to: wp-content/uploads/2012/12. (Current year/month). 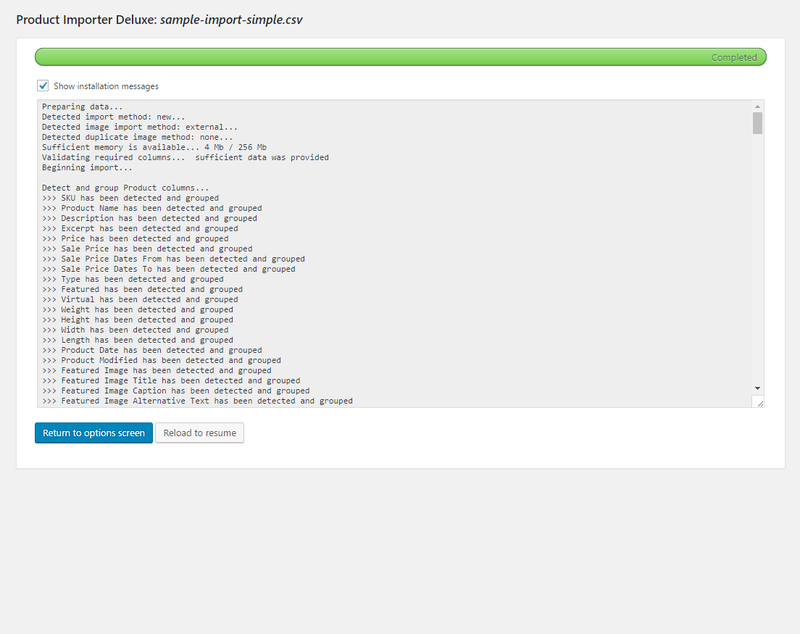 I list the image I want to be the thumbnail as the first image in the csv file. So… thumbnailImage.jpg|otherimage.jpg… This would go in the image field of your csv import. Hi scott, thanks for jumping in, that’s correct, just the filename when using the filename image import method. 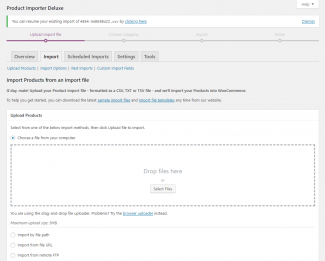 I’m currently working on porting the site over to the 2013 theme and introducing a much clearer on-site support platform; good for everyone, customers and providing support. Hi Jesper, thanks for raising this, I’ll look at the Product Name filtering rules we’re using for generating variations, it sounds like it’s ripping them out incorrectly where multiple uses of the same word are in play. 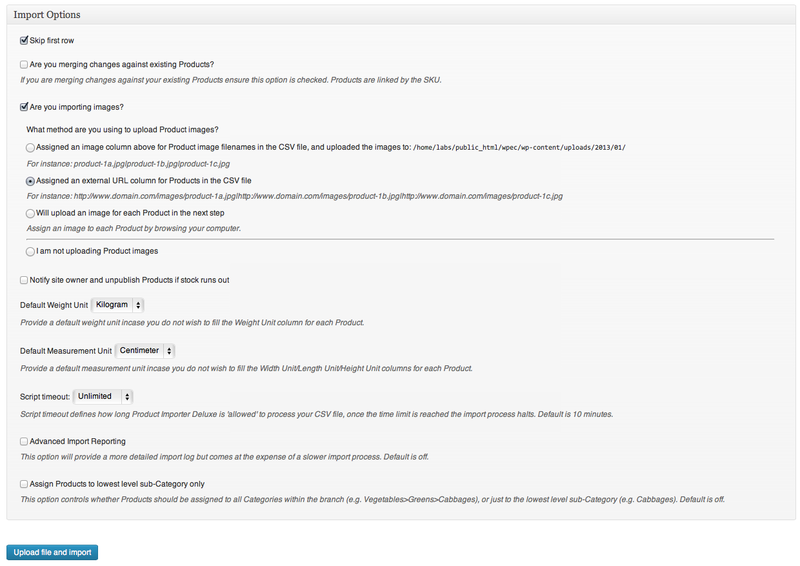 Hi Jesse, yes the SKU column is required for each variation when merging changes. I can look at removing this requirement for variations only as we can detect the Variation Set and Variant from the Product Name format we’re using. 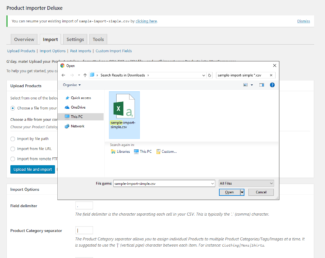 Hi Eric, I’m finalising testing of merging Product variation changes this morning and will release the 3.2.0 Plugin update for Product Importer Deluxe this afternoon. Hi Eric, the 3.2.0 Plugin update is available now with variations fixes. THANK YOU!!! 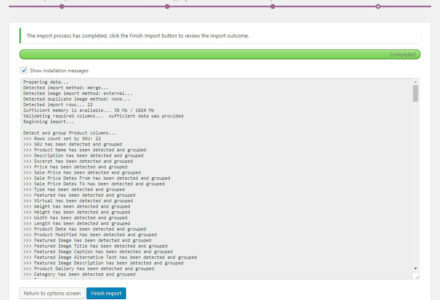 Thanks so much for this upgrade Michael, just managed to import a whole load of products with variations successfully and it has saved me so much time. The great plug-in I’d been waiting for! Hi Simon, thanks for hanging in there. Glad we got it sorted this release, please see the update post for more information on the 3.2.0 Plugin update. Hey, just purchased and testing out, got everything working sweet except for the variations. I import the Main product in the first row then all the variations under it using “Ladies Close Pique Knit Polo|Size|M”, “Ladies Close Pique Knit Polo|Colour|Green” etc. but they don’t get added to the product. Yep, join the list of people who bought this believing it worked with variations but discovered it doesn’t. Michael is working on a 3.2.0 release which we are told will fix variations, but this is now a week overdue and no response to questions about when it will be available. If 3.2.0 solves the issues it will be a great plugin.. here’s hoping. 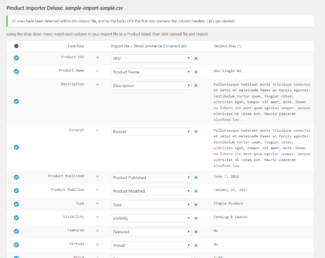 Is there a product stock field to import with the csv file? Hi Joao, yes, the Quantity column manages stock levels for each Product. Empty will mark it for unlimited sales, 0 as out of stock and any positive number as the current number of available stock. 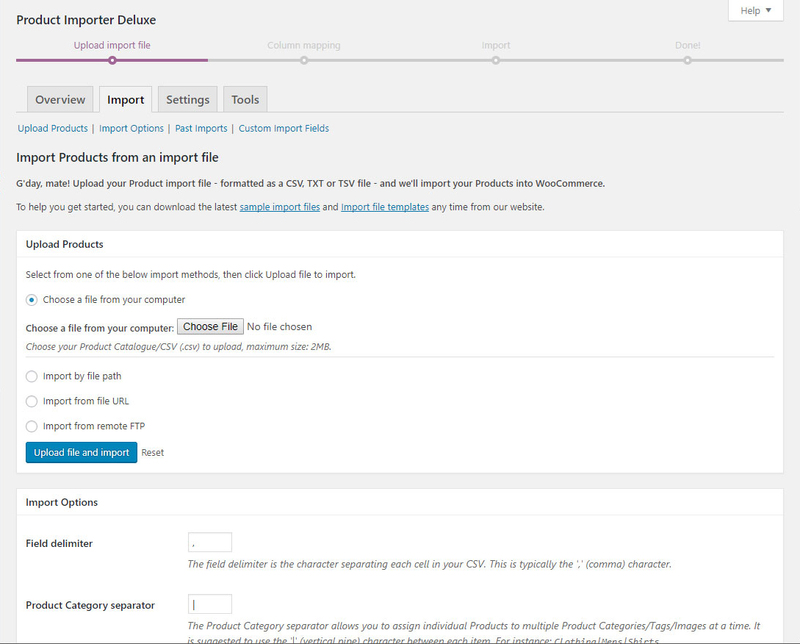 Michael – I’ve found that the importer turns the character % into “percent”, when used in the product title field. 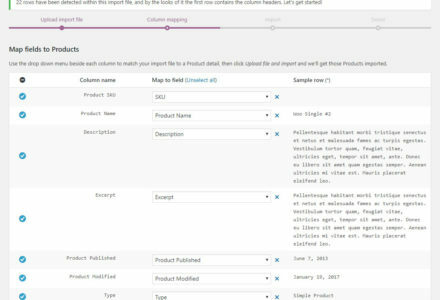 Is there any way around this (apart from using %, which isn’t too user-friendly for the staff updating the database from which the csv is exported)? Hi Matt, from memory this had to be done for WP e-Commerce 3.7, the code has just carried across versions. I’ve added it to my todo list for next week’s update; 3.2.1, 3.2.0 is just variations + critical issues. Any idea when we can expect 3.2.0.? 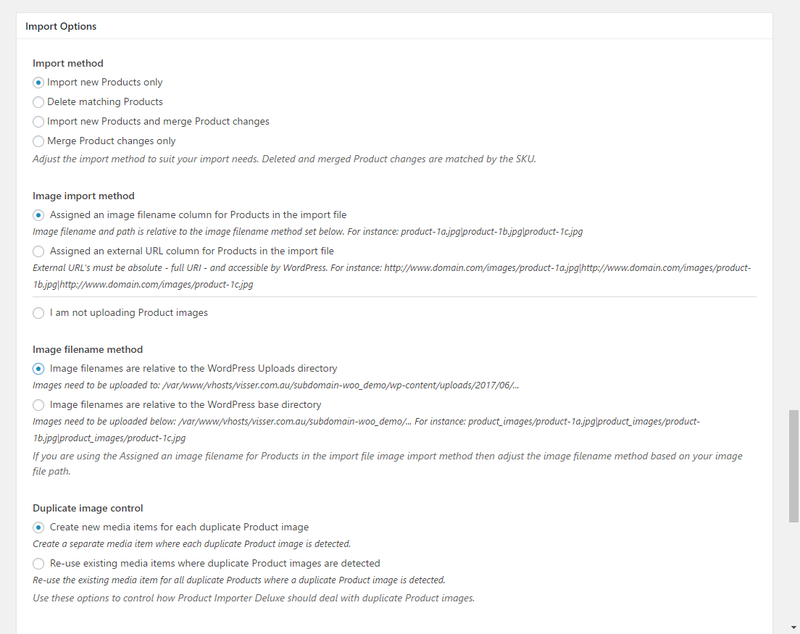 I’ve got products piling up here that I need to upload and if 3.2.0 solves the Variation issues it will save me hours! This is stopping the import after 2 or so products. 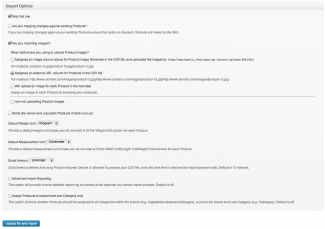 I use this plugin to add three to four thousand products a day (when its working) HELP!!!!! Hi Michael, looking at this now. Will release a pre 3.2.0 Plugin fix for this. 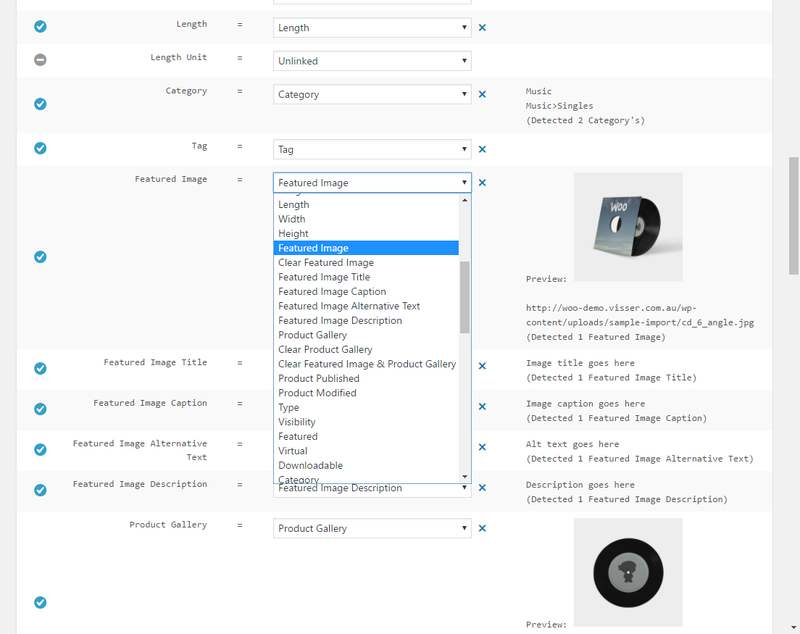 Hi 1fabricco, can you please confirm the image import method you are using, and the file size and dimensions of some of the images you are importing. 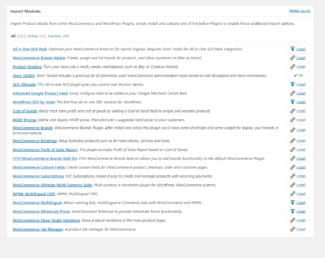 The error above indicates that one of the WordPress Media functions has eaten all available memory. 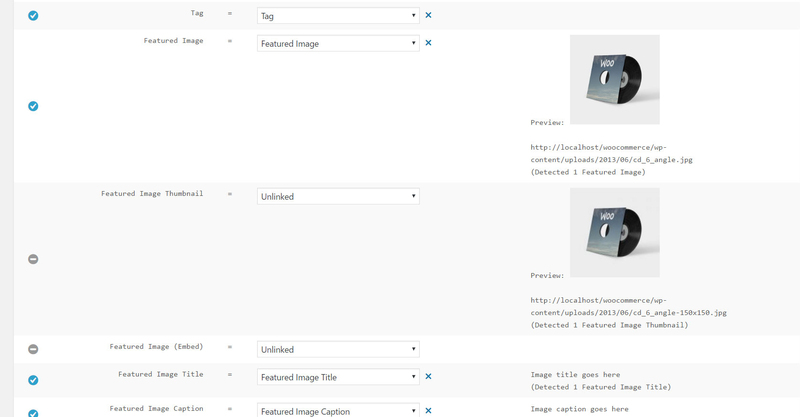 Increasing your hosting memory allocation will allow for importing larger images. I am assigning an external url. Image sizes for this vendor are somewhere around 900×1100 px. when I try to do merging. That fatal error will be resolved in the urgent minor update; 3.1.9.1. 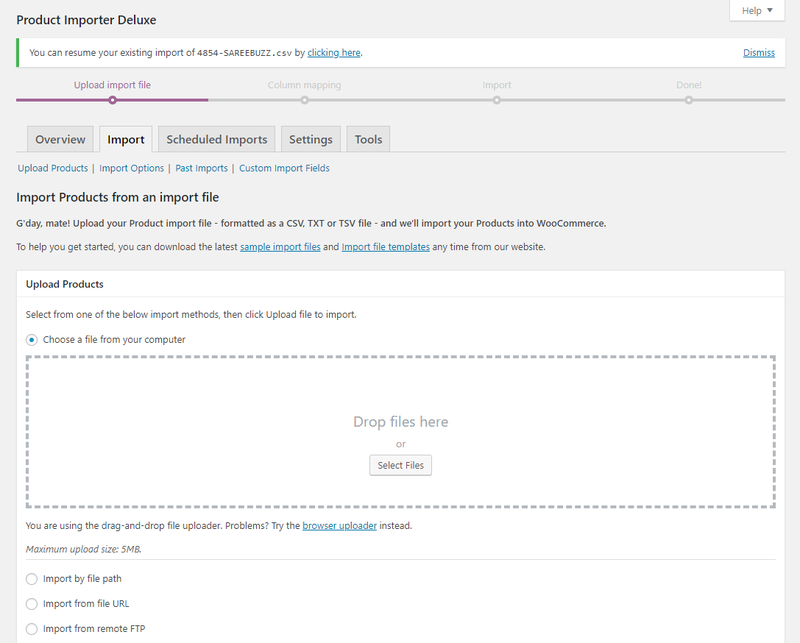 Although you’ve set that memory value (2GB) throughout your store WordPress’s media functions are only using 52M of it before crashing, our importer isn’t failing in this case. You can help me prepare a workaround once variations is stabilised (e.g. a filter for the media functions to boost memory) by packing up a sample of enough (e.g. does it consistently crash at Product 52, etc.) 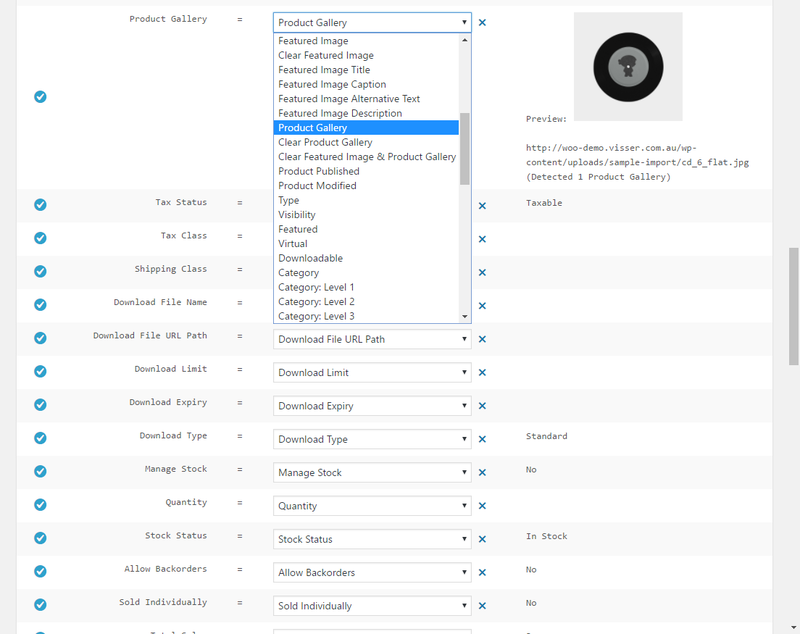 full-size Product images and a sample CSV with that many Products so I can run under a test store with 52M of allocated memory. 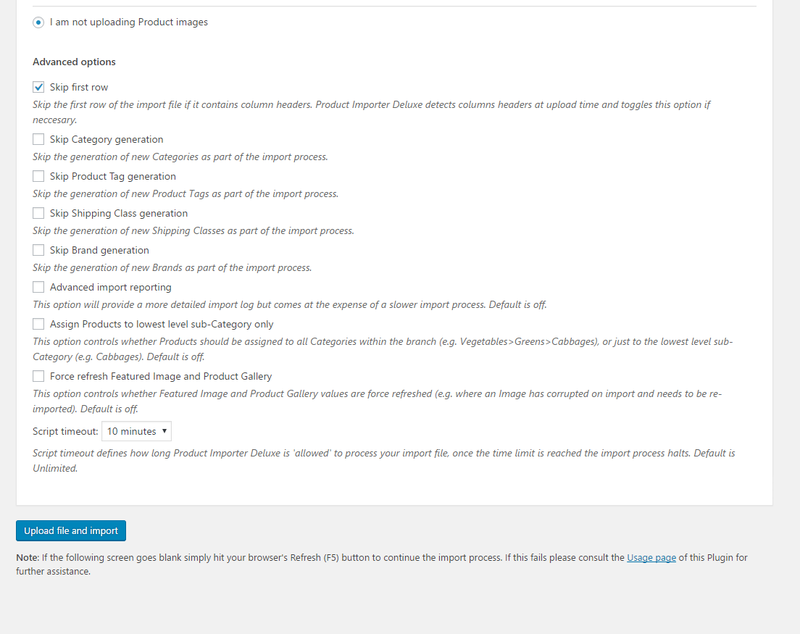 I am able to upload products and images fine, but when I want to go back and update my products which includes changes in the images the update/import erases all the images from all the products. 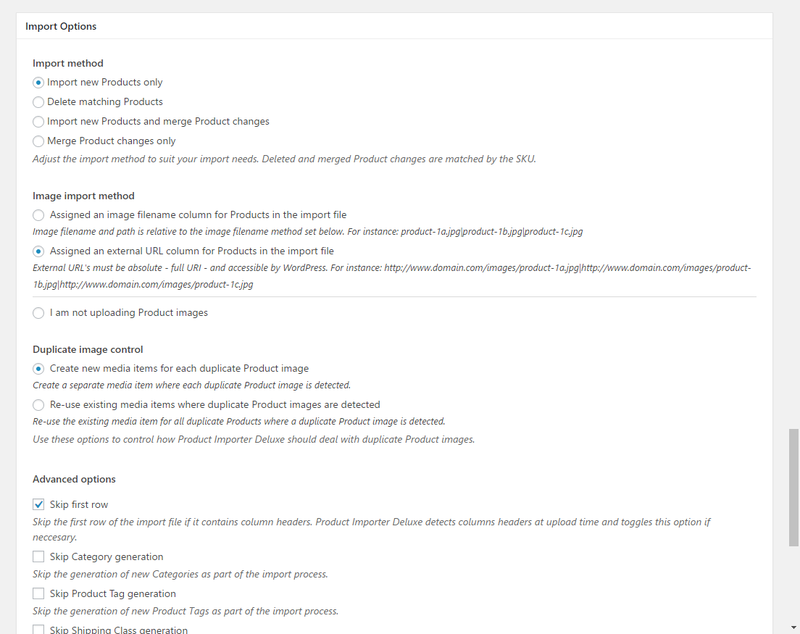 The images are still in the wp-content directory but they are no longer linked to my products. Hi Scott, can you please confirm if this is still happening after updating to the 3.1.9 Plugin update. I’m trying to create a record store, and am recognizing the limitations of the wp ecommerce plugin. I wonder if this plugin can solve this. 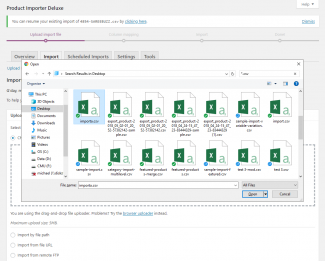 Import complete inventory each night- which will overrite current inventory. 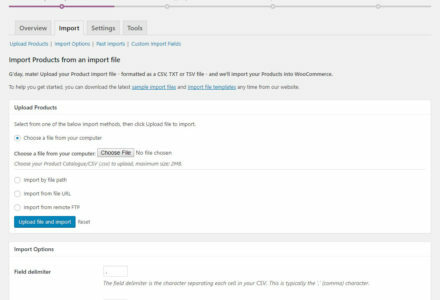 Import additional details for each item, from separate import fields. I also need to sell an item at new and used prices, and am hoping this could be automated also. 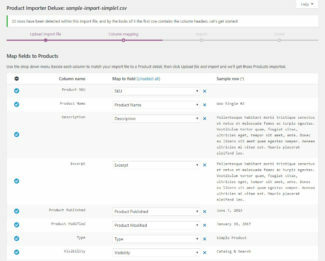 Hi Jess, you can override the current inventory by importing new Products and merging changes to existing Products. 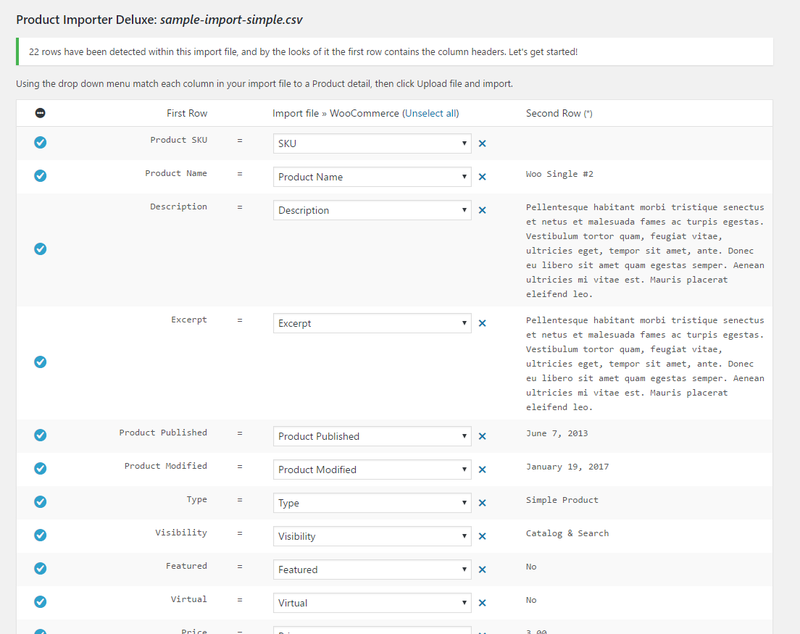 You can import/export using standard spreadsheet columns saved in CSV format. 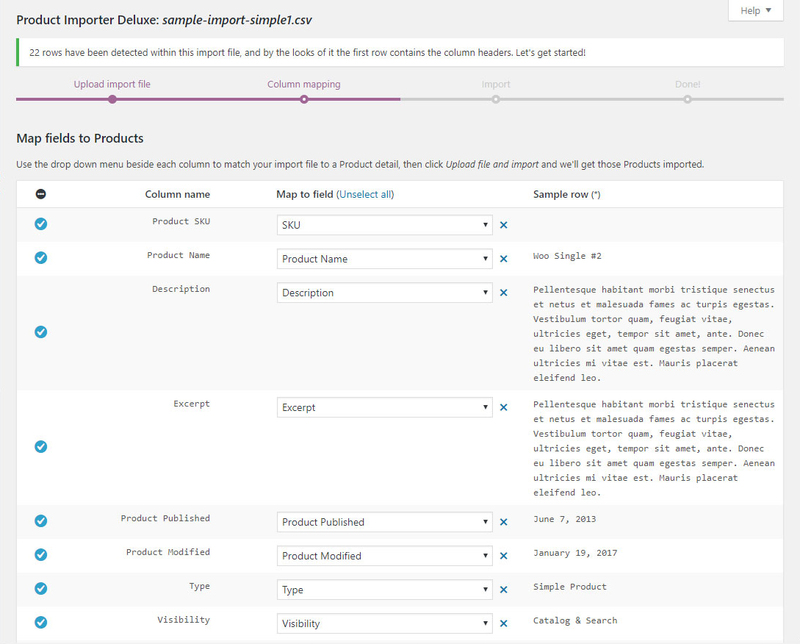 For new/used prices you’ll likely need to import variations or ‘Product options’, variations import support is being stabilised in the 3.2.0 Plugin update which we’re working on.